The 8th Arrondissement of Paris must be the most-famous among all the administrative districts of the capital city. 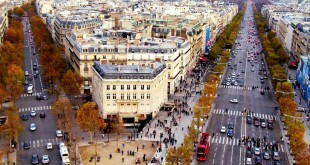 Not only it is Paris' main business district, it is also the home of the world-renowned Champs Elysées. The avenue is 700 meters exposing an assemblage of admirable structures composed of Arc de Triomphe, the Obelisk in Place de la Concorde, the Tuileries Gardens, and the Carrousel du Louvre. By now, every beach-lover and party-goer across the globe knows Ipanema. Famous for its white sands, crystal-clear waters and wide shorelines, Ipanema becomes a perfect venue for urban parties in a scenic beach setting. 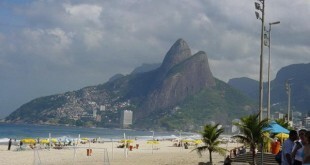 It is a fact that Ipanema is one of the attractions that made Rio de Janeiro as Brazil’s sought-after destination. 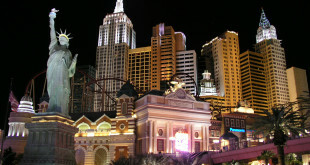 5 Must-see Cities for the Cosmopolitan Traveler.Being the definition of what an urban lifestyle is all about, New York belongs to the list of the cities a cosmopolitan traveler must see. It is said that Krakow's salt mine is no less splendid than the pyramids of Egypt and any other spectacular wonders of the world. Started its operation in 13th century and consistently produced table salt until 2007, Wieliczka Salt Mine was then named as the world's oldest operating salt mine. Now listed in UNESCO World Heritage Sites, it is the only salt mine in the world that is able to sustain such an immaculate and flawless state. 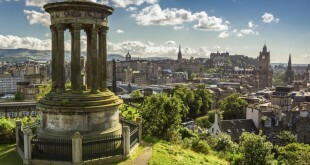 During the modernization of the Edinburgh’s Old Town, an old close under its city was built. The underground city acted as The Royal Exchange’s foundation when it was constructed in 1753. 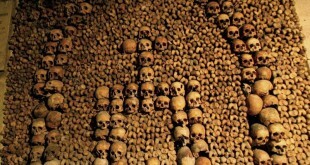 Some hundred years later, the underground street remains unscathed and now serves as one of Edinburgh’s most-famous attractions. Paris is known to be one of the most beautiful and alluring cities in the world. 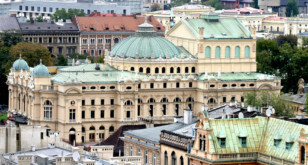 Many tourists head to this romantic city for a number of valid reasons: natural scenery, friendly and warm people, well-preserved historical structures, ancient architecture, culture and tradition, fashion, entertainment, shops, culinary, so on and so forth. Lombard Street being one of the top urban wonders in the world, owns the record as the street with the most switchbacks in a single block. 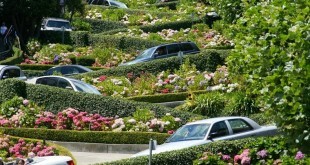 With eight steep and sharp turns, Lombard Street literally looks like a giant dizzy snake lying on the road. 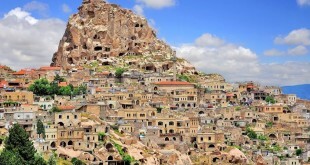 Famous for its moon-like landscapes, rock-carved houses, cave churches and underground cities, Cappadocia is regarded as the historic city of Turkey‘s Central Anatolia region. It has an extraordinary landscape comprising of unique rock formation, making Cappadocia one of the most-intriguing tourist spots in the world. Accentuated with glorified buildings, quaint shops, delightful cafes and perfectly-landscaped horse-chestnut trees, Champs-Elysees stretches its irresistible beauty from a public square called Place de la Concorde to a famous landmark, the Arc de Triomphe. In France, Champs - Elysees is regarded as the most upscale and high-end boulevard where prestigious and luxurious shops are seen in every turn. The Blue Grotto is the famous sea cave in Italy, on the coast of the island of Capri. Its official name, Grotto Azzurra, is courtesy of its stunning feature--the blue reflection created by the sunlight that passes through the seawater.